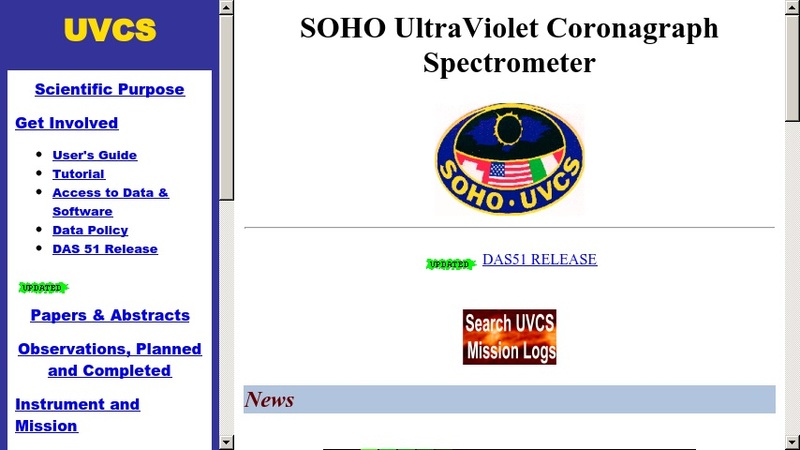 Users can access a variety of information on the SOHO satellite and instrument. The scientific purpose of the mission, a study of the extended solar corona, is discussed, and links to mission logs, news articles, observations, and meetings are provided. Links to a tutorial, data, and software are also included.